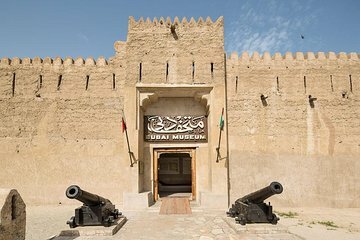 Get to know Dubai’s traditional side, and enjoy a luxurious way to explore, when you set off on this private, half-day tour. After meeting your guide at your Dubai hotel, venture to the 19th-century Al Bastakiya neighborhood, glimpse the centuries-old Al Fahidi Fort (which now houses the Dubai Museum), visit the Gold and Spice Souks, and take an abra boat across the Dubai Creek. You’ll also glimpse key landmarks ranging from the Jumeirah Mosque to the Burj Al Arab.